Xiaomi had a very successful year with it's Redmi Note 4 as the phone broke a lot of sales record in China and mostly in India where it was awarded the largest smartphone manufacturer ahead of Samsung. Now Xiaomi just launched a new successor to it's last year mid ranger and it's called the Redmi Note 5. 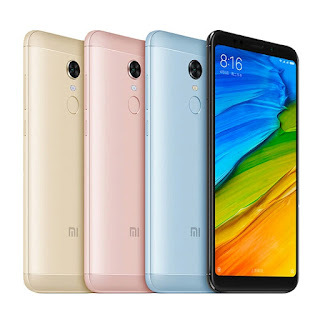 The phone is available in 2 variants which is the regular Redmi Note 5 also known as Redmi 5 plus and the better specced Redmi 5 Plus. 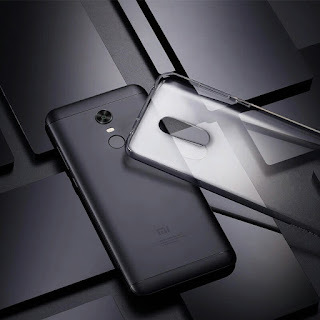 The Redmi Note 5 is identical to the recently launched Redmi 5 plus but Xiaomi decided to rebrand the name due to the success of the Redmi Note 4 and the Note series in general in countries like India. The new Redmi Note 5 shares a lot of similarities to the Note 4 in terms of internal hardware except for a few tweaks and design changes. The new Redmi Note 5 is powdered by the same Qualcomm Snapdragon 625 chipset used in it's predecessor with an octa-core Cortex A53 CPU clocked at 2.0Ghz. It also has an Adreno 506 GPU with Vulkan API, OpenCL 2.0, and OpenGL ES 3.1. The device is available in 2 different variants. You can either get it with a 3GB RAM and 32GB storage or a 4GB RAM version with 64 GB internal storage. Both can be expanded through the hybrid SD Card slot with up to 128GB Micro SD card. 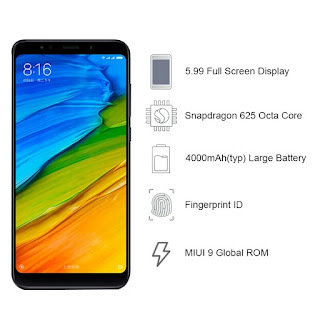 It features a 5.99-inch Full HD near bezeless IPS LCD display with a resolution of 2160 x 1080, 403ppi pixel density and an aspect ratio of 18:9. The device has a 5mp front facing camera with LED light and a rear facing camera of 12mp. The Note 5 also has a rear mounted Fingerprint reader and 4000mAh battery as it's predecessor with a 5V/2A fast charging. 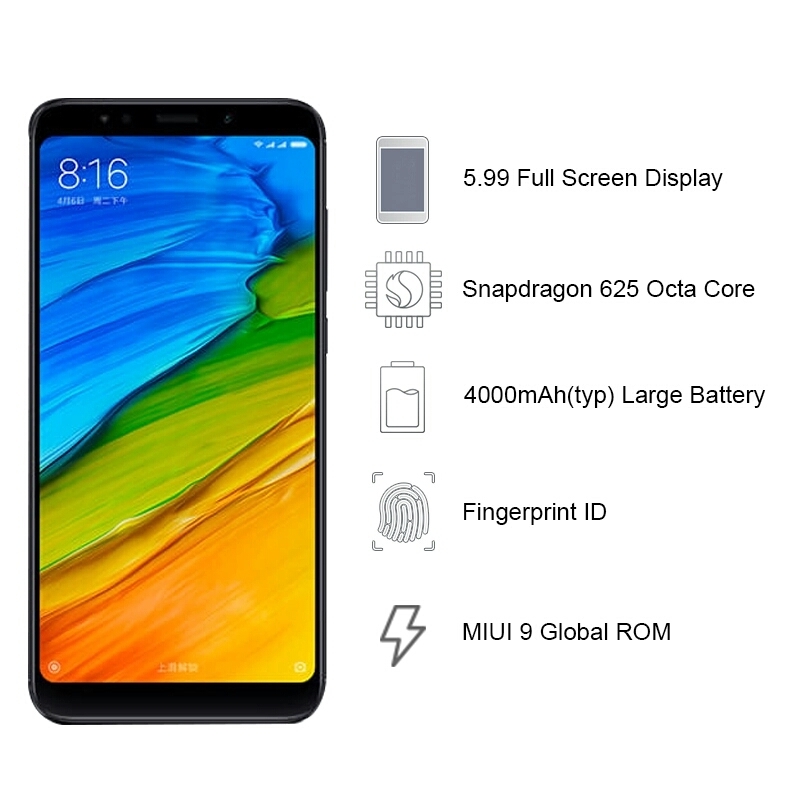 The Xiaomi Redmi Note 5 price in India starts at Rs. 9,999 (app. N56,000) for the 3GB RAM, 32GB storage variant, and goes up to Rs. 11,999 (app N68,000) for the 4GB RAM, 64GB storage variant. Colour options are Black, Gold, Lake Blue, and Rose Gold.